Fed up of pesticide laden vegetables? Then why not grow organic vegetables at home. No space? Even a small gallery or even unused bottles and cans are enough to grow vegetables at home. How? Ask Ek Titli. 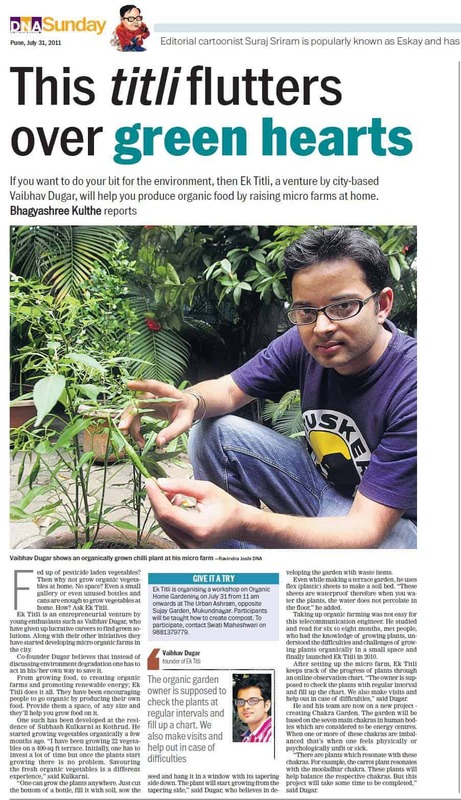 Ek Titli is an entrepreneurial venture by young enthusiasts such as Vaibhav Dugar, who have given up lucrative careers to find green solutions.